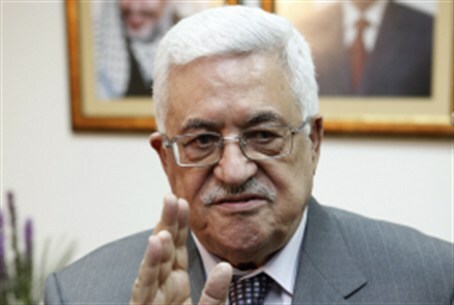 Palestinian Authority chairman Mahmoud Abbas went on record in Arabic saying he will never recognize a “Jewish state.” He also said the kidnapping and five year ordeal of IDF soldier Gilad Shalit was "a good thing." The report came from Middle East Media Research Institute, who translated and posted an interview Abbas gave on Egyptian state TV last month. In the same interview Abbas said the kidnapping of Israeli soldier Gilad Shalit, who was held captive for five years by Hamas terrorists, was a "good thing." “They were able to keep him and hide him,” he said admiringly. Shalit was ultimately freed in exchange for 1,027 terrorists, including some 450 murderers, last month. Abbas, packaged as a moderate by media handlers and pro-Arab politicians in the West, has long said one thing in English and another in Arabic. Despite this, he signed a unity agreement with the Hamas terror organization – which maintains a genocidal posture towards Israel – earlier this year. He has also repeatedly accused Israel of being responsible for stalled peace-talks while openly putting maximalist preconditions on his participation in negotiations that he knows will be wholly unacceptable to officials in Jerusalem. In September Abbas violated the bilateral framework of the Olso Accords when he sought unilateral recognition of a PA state based on pre-1967 lines without consulting Israel or the US, both of whom are Oslo signatories. Israel has called for negotiations to resume without preconditions from either side. MEMRI is a Washington-based research group that monitors and translates Middle Eastern media.